Over the past few months, we’ve been rolling out our new version of Tempo Cloud for JIRA. It's built from ground up according to customer feedback with more focus on easier navigation and usability. The multiple trackers are a result of such feedback from customers. The multiple time trackers work like a stopwatch on tasks, different types of work, and JIRA issues, and keeps track of the time you spend working. Apart from that, the trackers also eliminate errors and the need for calculating your work - Tempo does it for you in real time. Simply start the tracker when you start working, pause it if you need a break, and stop it when you’re done. Easy peasy! Do you recognize using a notebook or stack of Post-it notes to manage your daily or weekly to-do list at work? Have you tried to list your tasks at stand-ups when you've lost the Post-it note? 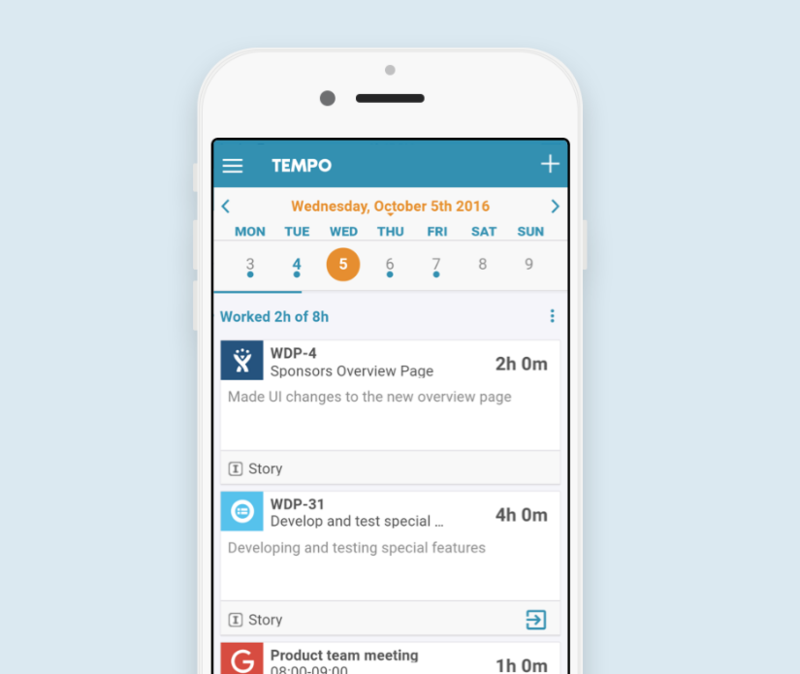 With Tempo, you can list up all your tasks in the tracker gadget and simply start the tracker. It's easy to convert your task into a worklog afterwards. Create tracker cards from JIRA issues, plans, calendar events, or a real-time tracker, and assign them to JIRA worklogs. All time trackers are automatically added to your dashboard's gadget in Tempo along with all your existing trackers. You’ll have an option to create new trackers in addition to that. You can also create a quick tracker to track your work immediately and link to JIRA issues when you’ve finished working. The Tempo mobile app is available for free for iOS and Android. Again, it's easy to convert your task into a worklog afterwards. You can track time against a JIRA issue by using the trackers. They can be accessed from any issue, which are found on the right side of the screen, under ‘Trackers’. The tracker is automatically added to your dashboard's gadget along with all your existing trackers. Or simply create new trackers, when needed. 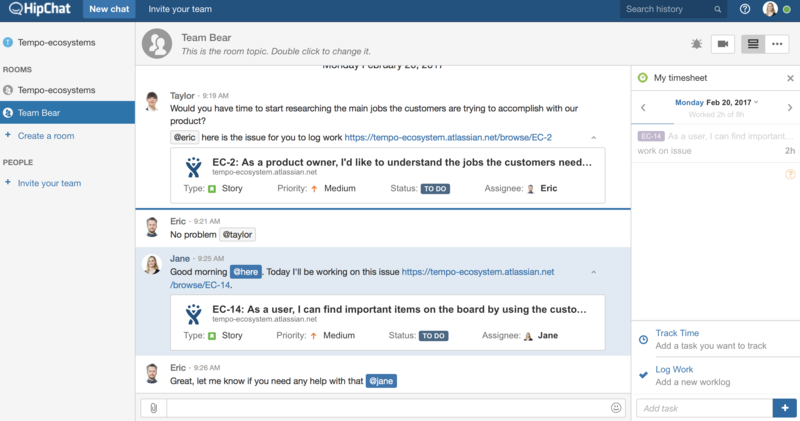 Is your team using HipChat to communicate? You can create trackers and log work directly from your HipChat sidebar. Without spending extra time opening Tempo and JIRA, spend your day focusing on the tasks at hand and communicating with your teams. Using Tempo Timesheets for JIRA Server? Explore how the tracker on our Server version helps you enter your time accurately.